For some time now I have been meaning to posts stories and photos of a few of the wildlife patients I get the privileged of helping. 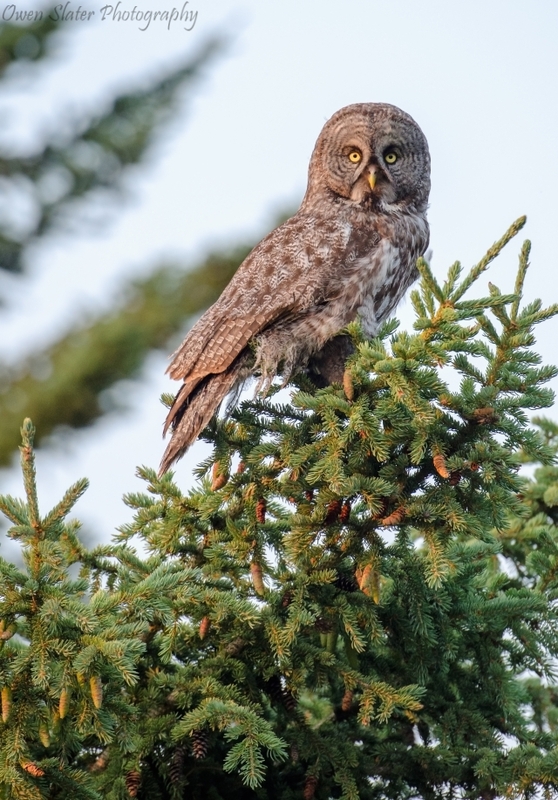 What better way to start than with a beautiful great grey owl? This owl was hit by a car near Bragg Creek, Alberta and was found dazed and unable to fly by a concerned member of the public. They were able to safely catch and bring it into us at the wildlife hospital. A physical examination, blood work and x-rays confirmed that it did not have any fractured bones, so treatments were geared towards treating for the muscle trauma, dehydration and thin body condition. The owl soon recovered from the trauma, but needed to regain some weight and its flight muscles so it was transferred to a larger, outdoor flight pen where it spent the next several weeks gaining its strength back. Last week it was strong enough for release. On the release day, as with all raptors at the center, we placed a metal band on the left leg so that if the owl ever gets handled or spotted in the wild we can get an idea of how successful our efforts at rehabilitation are.